It is no huge secret that Hollywood has seemed to have run out of new ideas years ago, depending now almost exclusively on comic book movies, well-known franchise adaptations, reboots, prequels, spin-offs and sequels to make its money. One of the wells that Hollywood keeps coming back to when deciding what property to adapt next is the video game world, where successful titles and franchises already have a built in audience of millions of fans, which Hollywood hopes to tap into and translate into box office gold. Unfortunately for video game fans, Hollywood does not have a great history when adapting video games into movies. While we’re not even going to get started with the damage created by early adaptations like “Super Mario Bros” or “Street Fighter” (a movie whose production saga far surpasses the entertainment value of the film itself). As the years go by, Hollywood still shows very little signs of getting to understand just what makes a video game special, much less how to reproduce that onscreen. With recent flops such as 2016’s “Assassins Creed” or the recent “Tomb Raider” reboot, and the mixed reviews of the surprisingly successful “Rampage,” we decided to take a look at the video game franchises that – given the right director and script – could actually be turned into successful movies. These games not only boast compelling characters and incredible settings that should bring in the spectacle, but actually have a strong story to tell. 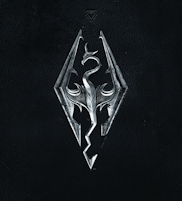 Skyrim follows the story of a Dragonborn prisoner who is saved from being executed when the Alduin, a black dragon prophesized to devour the world, destroys the town he’s in. 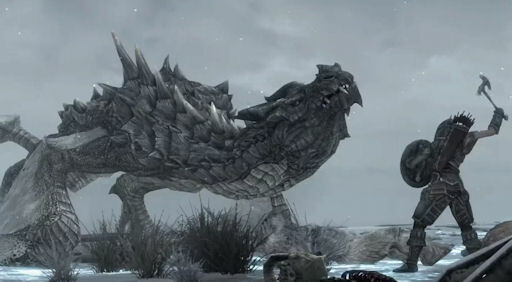 After making his escape, he goes on to kill another dragon nearby, absorbing his soul in the process and gaining the power of the shout, which will allow him to defeat Alduin and stop the end of the world. While Skyrim is quite plot heavy, making it quite difficult to fit everything into a single film, its visual spectacle and cinematic storytelling – not to mention its compelling Viking inspired characters — makes it ripe for adaptation. At a time where there are not many successful Viking movies around, Skyrim could certainly fill that gap – even if its mythology differs from the actual Nordic myths. 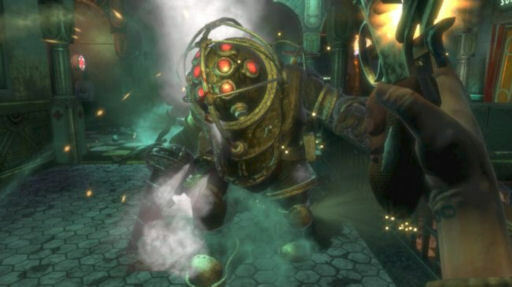 One of the best and most beloved games of the PS3/Xbox 360 era, the BioShock franchise is not just disquieting and visually impactful in its portrayal of an underwater dystopia, but it also boasts an absolutely epic story to boot. Telling the story of Rapture, a technologically advanced underwater city created by magnate Andrew Ryan in the ’50s to be a utopia for the elite, players soon find themselves immersed into a tale of revolution, oppression, genetic modifications, mad doctors, creepy enemies and a dystopic world like few that have ever been seen before. While the franchise boasts three games and a fantastic DLC for BioShock Infinite titled Burial at Sea, Hollywood would be smart to base a movie on the first game in the series, giving itself the chance to gently bring unfamiliar viewers into this complex world before jumping fully into the mind bending multiverse of BioShock Infinite. Speaking of genres that have been vastly underrepresented in the past decade, Westerns have mostly fallen out of favor in modern Hollywood. While movies like Tarantino’s “The Hateful Eight” or the Cohen’s “True Grit” and “No Country for Old Men” have led a modern revival of the genre, long gone are the days of the classic outlaw tales of Sergio Leone. 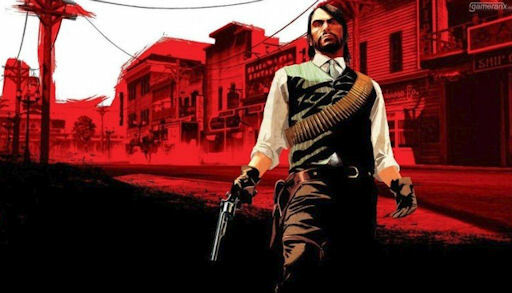 While Westerns are also hardly a popular video game genre, Rockstar Games came to change all that with the stone cold classic open world western title, Red Dead Redemption. Set during the decline of the American Frontier in 1911, the game follows former outlaw John Marston as he is forced into becoming a hired gun for the government in exchange for amnesty for his troubled past. In a quest that takes him from the southern United States to Mexico and back, John must hunt down his former gang members in order to secure the safety of his family, with plenty of surprises and setbacks along the way. Featuring a superb soundtrack, a deeply affecting story, deep and fully fleshed out characters and a perfect western feel, Red Dead could be a hugely engaging watch if brought properly to the silver screen. With a long-awaited sequel being released this fall, Hollywood could even have the chance to produce one of those sequels it loves so much if the first movie is a hit.